Belize. $1, 1990. Columbus's fleet. Another polygon - bonus! This circulation design was adapted from a collector design, below. 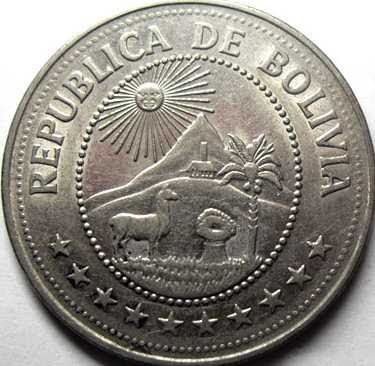 See also: Numismatic heritage: commemorative designs that became standard designs. Belize, 250 dollars, 1989. 500th anniversary of Columbus' discovery of the New World. This was a gold coin. Bermuda, $60, 1996. The Sea Venture. With Bermuda, I am spoilt for choice. Their circulation coins are OK but do not stand out. Therefore I have gone for this beauty of a collector coin by Robert Elderton. It's part of the "Bermuda Triangle" series. Bhutan, 25 chertum, 1979. Golden fishes of good fortune. One of the eight revered Buddhist symbols. The charming national emblem seems to invite you to tell a story about what is happening. Bosnia-Herzegovina. 500 dinara collector coin of 1994. An attractive scene. Botswana, 1 pula, 2013. Zebra. Do you know why zebras evolved stripes? 1] So that the zebras could look blurred when running, and predators would not spot them in the background. 2] They are very vain animals, and stripes make you look slimmer. Brazil, 2000 reis, 1900. A generic Portuguese carrack (nau) from the fleet of Pedro Alvares Cabral. With Brazil, again you are spoilt for choice, but this one is a real beauty. Brunei, 50 sen, 1967. Arms with no body. Curious. A difficult one. Here I am forced to travel back in time over 100 years in order to find a decent coin design. Burma or Myanmar? Burma. The modern country has never produced a single pretty design, so here I must travel even further back in time to fetch this splendid peacock. Burundi, 5 francs, 2014. Balaeniceps rex - Shoebill. Attractive design. Apparently this is a circulating coin. Not what you'd expect from a country you forgot you'd even heard of. See: BURUNDI 5 francs circulating commemorative coins bird series. Cameroon, 2 franc, 1948. A gazelle, with a plentiful assortment of vegetation as decoration. See also: Beasts of French Africa. Canada, 5 cents. The beaver. The design is very old now but still full of character. Cayman Islands, 5 cents. Stuart Devlin's design of a prawn follows the contours of the coin's circular shape. Central African Republic, 100 francs, 1971. Another classic design.